Who doesn’t want to show off that radiant and flawless skin, especially for women? You do not want to top up all the challenges that come about in everyday life with skin that looks dull and lifeless. To get more info about the products, SkincareRejuvenation.org will help give your skin an extra dose of confidence. Below are some of the skin rejuvenation methods that will help to keep your skin looking young and soft. Banana mash is great for getting rid of most of the blemishes on the skin. Its richness in vitamin C and vitamin B6 enables it to maintain the health of the skin and keep it supple and elastic all the time. To use it, mash a banana or two and add a few drops of olive oil and honey and apply the paste on your face. Keep the pack on and wash off after 20 minutes. The results should be a very smooth and radiant skin. There are very many moisturizers that can work for your face, but it’s good to go for the natural ones to get the best results. The moisturizer does a number of things to your face, including cleansing, lightening and hydrating it. In this case, your milk powder will work fine. You simply prepare a smooth paste by mixing one tablespoon of the powder with equivalent measures of honey, lemon juice, and almond oil. Allow the paste to settle on your face for 15 minu8tes and then wash it off. You can achieve excellent results with the use of homemade yogurt, which contains lactic acid that naturally cleanses your skin, exfoliates it and moisturizes it as well. You can also add a few other ingredients such as turmeric powder and gram flour to cleanse and tighten your skin to give you that young and fresh look. One teaspoon of all the products mixed into a paste is enough to give you that radiant look that you have always desired. 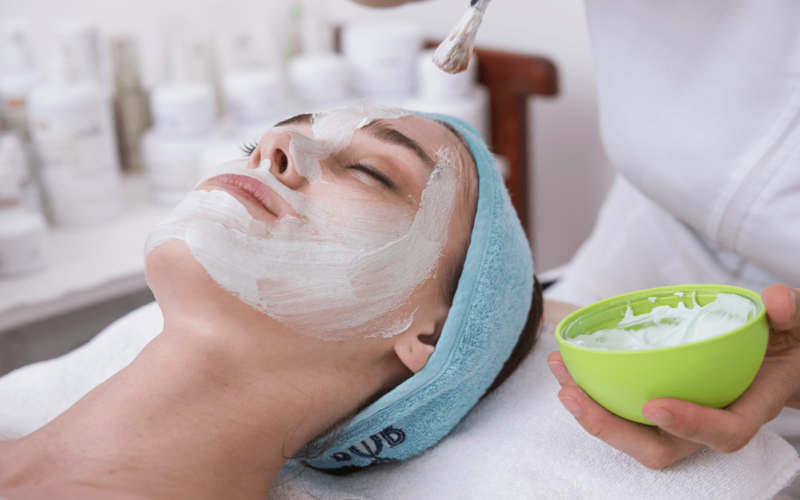 To exfoliate your skin, you do not want to use rough products that can leave your skin inflamed. As such, go for a natural product such as oatmeal that has anti-histaminic and anti-inflammatory properties. Oatmeal also contains saponins, which cleanse your skin and give it a fresh look. Blend one tablespoon of oatmeal with a few drops of water and add the same spoon amount of honey. Apply the paste on your face and rinse off with tap water after 20 minutes. For a hydrated and lightened skin that is acne-free, oatmeal would be very beneficial to achieve good results. This can be done by using tomatoes, both in your body and outside your body. This fruit contains an element known as lycopene that can rejuvenate your skin and leave it fresh. Using 3 tablespoons of tomato juice, 1 tablespoon of lemon juice and 2 tablespoons of milk cream, make a smooth paste and apply on your skin in circular motions. Wash off after 15 minutes to allow time for rejuvenation and tightening of the skin.